We're starting to make some big changes in our learning time schedule and activities. 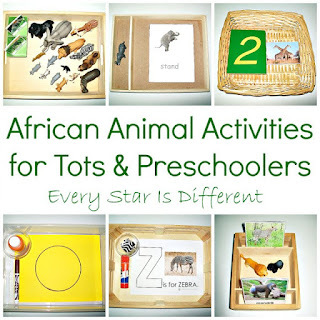 There will still be daily workbook pages, story time, reading, journals, and the practice of math facts etc., however, we're starting to change our activities to be more Montessori like. Even parts of our learning time schedule will be more Montessori like. 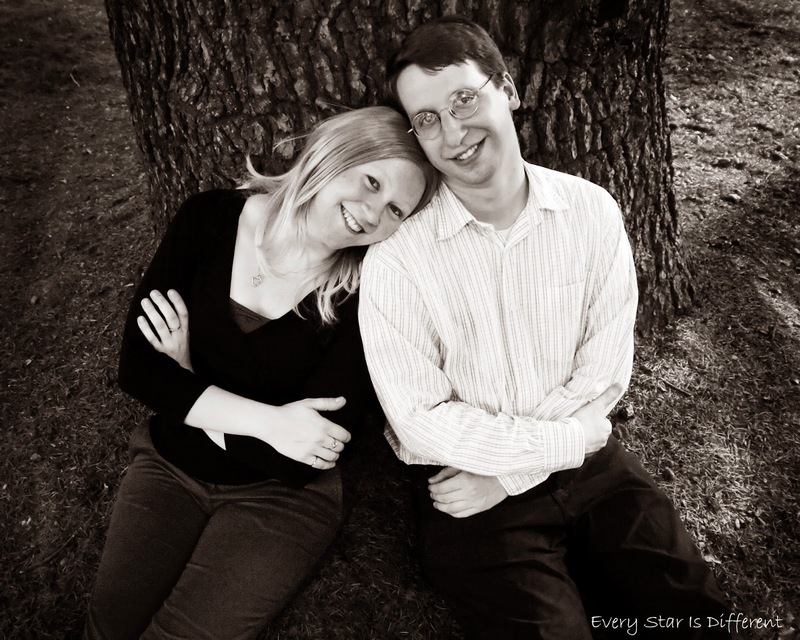 I've been reading like crazy, and it just seems to be an answer to prayers as to how to help the kiddos learn better with their special needs. Bulldozer still needs help transitioning from activities and motivation to actually choose activities, but in the end, I feel like all three children will learn more this way. Dinomite has been asking so many questions about so many subjects. As I study the Montessori way of presenting things, it seems very similar to the way that Dinomite's brain is programmed. Since Princess is so smart, yet struggles so much emotionally, the Montessori way seems to provide her with just the right balance of challenge and structure. I haven't quite figured out how to build a portfolio of the kids' work and accomplishments yet, but I'm working on it. I plan to share each week's trays on the blog with resources, directions and options. Here are our activities! Dinomite has always been obsessed with animals of all kinds, quoting what he's learned from books, encyclopedias, and his animal documentaries. However, he doesn't really grasp location yet, so I decided to combine animals and continents, introducing the subjects during circle time. This activity has given him great practice at mammal identification and the continents they live on. 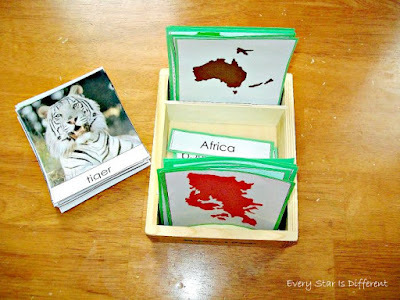 For Bulldozer and Princess, it has been a great matching activity, as they can match continents and names, and also animals with continents. A continent outline is on the back of every mammal card. 1. Match up continent with labels to separate continent and/or label cards. 4. Match up continent with labels to separate continent and/or label cards. Once correct, practice writing continent and animal names. Sources: Cards can be found at Walk Beside Me. Last week, during speech therapy, I realized that Bulldozer didn't know his baby animal names. I was kind of shocked. After the therapy, I asked Princess a few and realized she didn't know them either, so I created a center specifically for them, with enough challenge for Dinomite. I decided to use the adult mammal names, instead of specific mother names, worried that mother names might confuse the little ones. 1. Match up baby and mother picture cards with labels. 2. Match up baby or mother picture cards with animal figures. 3. Match up baby and/or mother picture cards with separate word labels. 4. 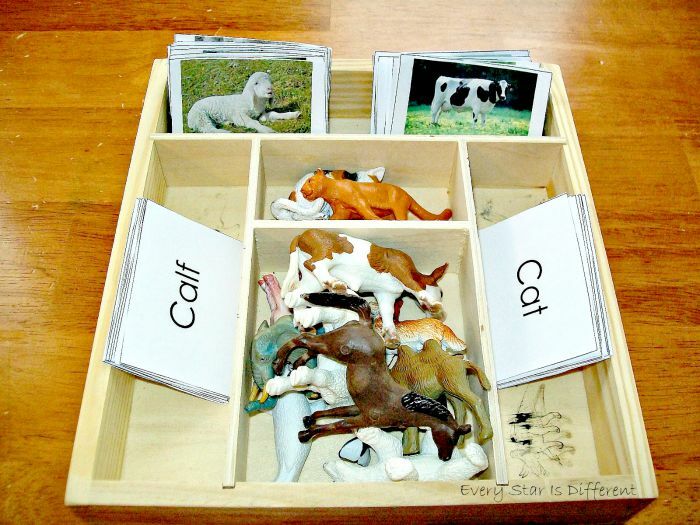 Match up animal figures with baby and/or mother word labels. 5. Match up any configuration of materials presented. All options can include a writing component. Sources: I created this one myself! For your free copy, click HERE. Dinomite has always been big into fossils, tracks, etc., so when I stumbled across this idea, I thought it would be quite fun. I selected animals that we had little figures of, but there are many mammal track options out there. 1. Match up animal tracks with labels to animal tracks and separate labels. 2. 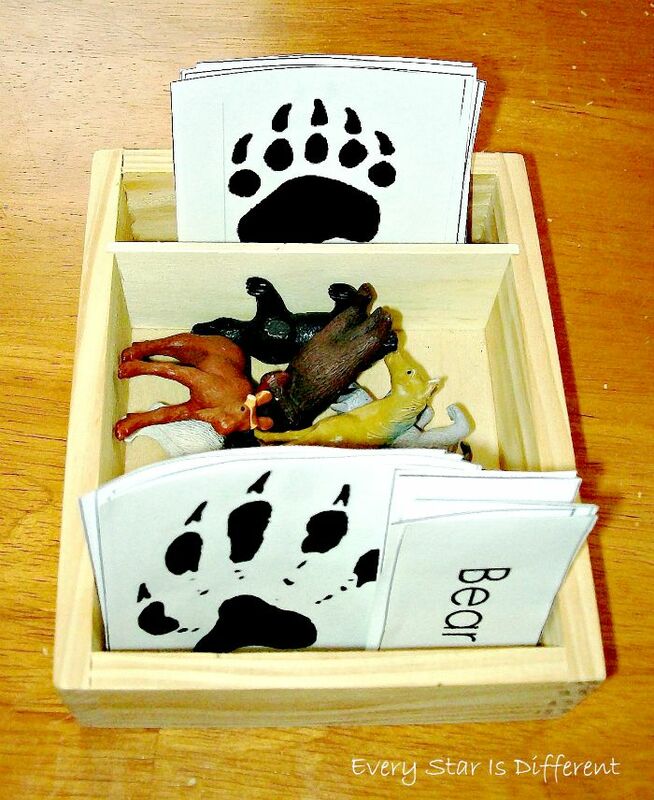 Match up animal tracks with labels to animal figures. 3. Match up animal labels (without prints) to animal figures. 4. Match up any configuration of pieces. All options include a writing component. Sources: The idea was inspired by a post on My Montessori Journey. There are links on this site to tracks and matching animal pictures at Montessori for Everyone. However, I did make my own cards specific to the animals we had figures for. When I can use figures instead of pictures, it just seems so much more fun. Bulldozer and Dinomite tend to struggle with pretend play, so presenting play themes and options sometimes helps them develop that skill further. The kids have known about our Earth for a while, as we are very big on the creation and Earth Day, but they really didn't know much more than the fact that this is the Earth we live on. As I've introduced the continents this week, this activity proved to be a great way to show their locations and why our earth looks the way it does. 1. Color continents green and water blue. 2. Label continents with proper name. Both options can be combined. Sources: I found this coloring page at Crayola.com. Instead of printing off a million copies of paper maps, we use one printed page and a sheet protector. Crayola Washable Dry Erase Markers work great! As we went through our week talking about mammals, the kids learned all mammals have hair. However, they can be very different from each other in colors, patterns and textures. 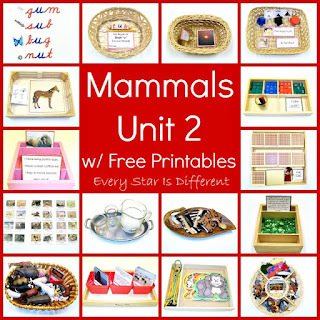 This center was a great way to help the kiddos identify different types of mammals, their names, hair colors and patterns at a very basic level. 1. Match up animal words with hair colors and patterns to animal figures. 2. 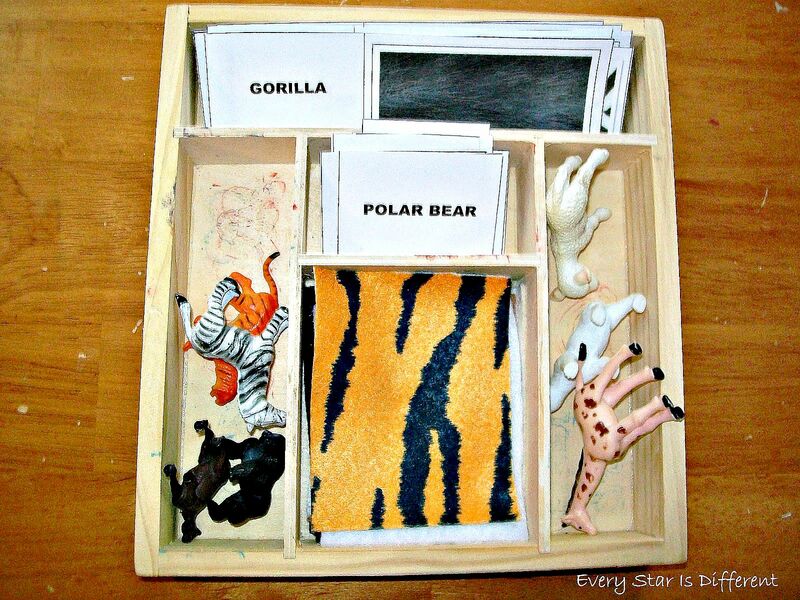 Match up animal figures to felt color and pattern pieces. 3. Match up animal figures to names of animals. 4. Match up any and all combinations of materials. All options can have writing components. Sources: This idea and some of the cards with animal names and pictures of hair came from squidoo.com. However, to create more animal options I created more of my own cards. 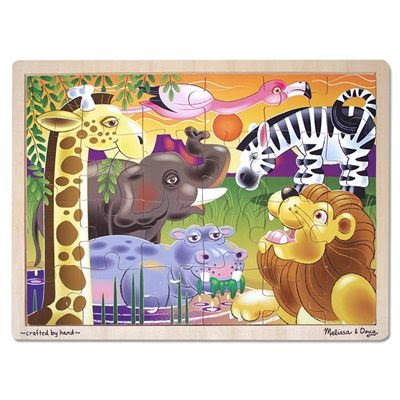 Even though this Melissa & Doug African Plains Jigsaw 24 pcs Puzzle does have a bird on it, I still found it a great way to help the kids learn about different kinds of mammals. I was amazed at how hard, even the littlest kiddo, worked to complete this puzzle. I found this activity a great way to incorporate math into our unit, and well... Bulldozer's number one motivator is food, especially cookies of any kind. There wasn't a day that went by that he didn't choose this center to work at for at least part of the time. To make sure the kids didn't take too long, I gave them each about 1 cup of animal crackers to work with. 1. Sort different types of animal crackers into muffin tin. 2. Make patterns using animal crackers. 3. Combine both options above. 4. Sort different types of animal crackers into muffin tins, count and/or graph results. Sources: The original idea to make animal cracker patterns came from squidoo.com. I came up with the other options on my own. We used Barnum's Animal Crackers, as they have lots of detail and the animals are easy to decipher. And there you have it! 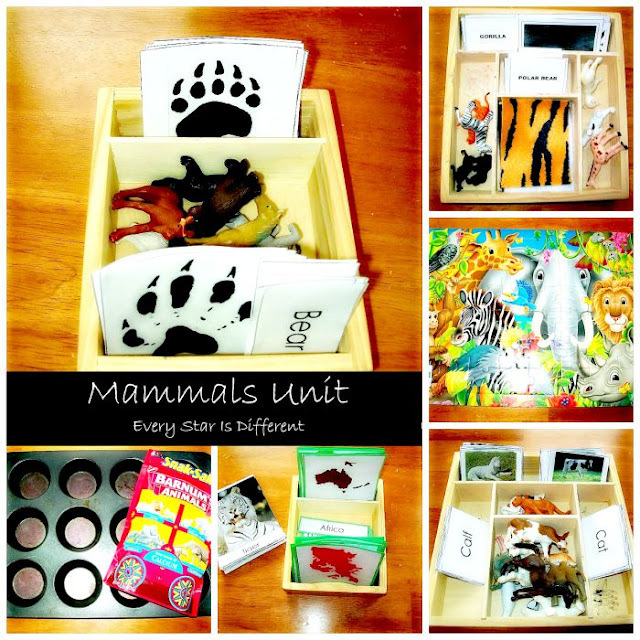 I wanted to make sure to mention that each mammal activity (with the exception of the puzzle) focused on different types of mammals. 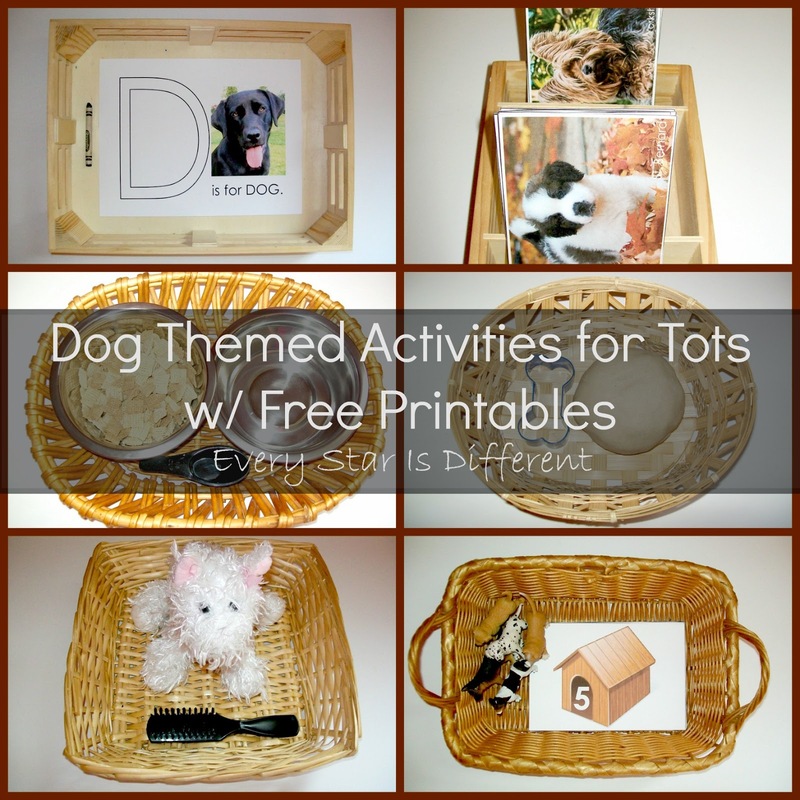 Activities that included animal figurines were especially varied. 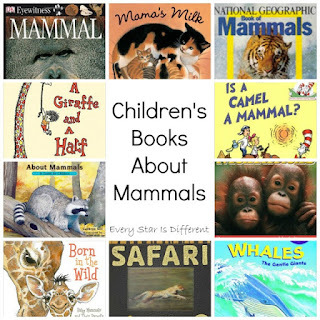 Not a single mammal was repeated, allowing the kids to learn about a large variety of mammals from different places and settings. "What is a baby fox called?" I'm very excited to continue on like this, however, I know it will take me a least a few more weeks to and/or months to have everything running the way I want to. After all, there are three kids at completely three different levels of learning, all working together, all having unique special needs of their own. Wish me luck! 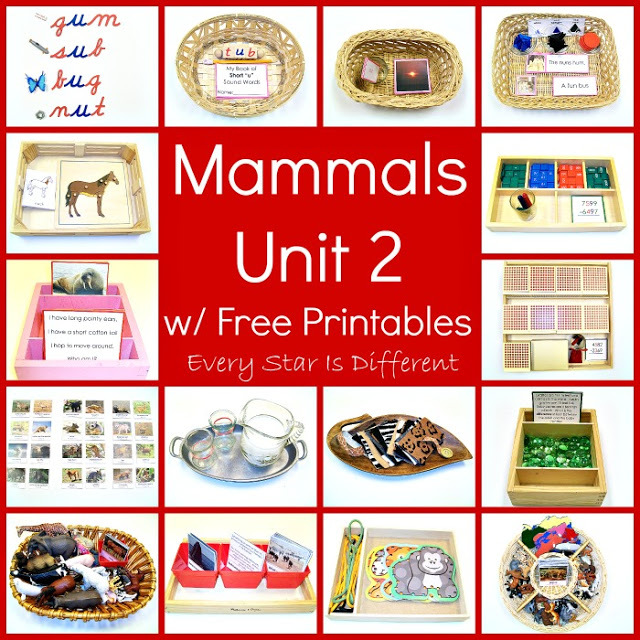 If you're interested in more Montessori-inspired mammal activities and resources, be sure to visit the posts below. Renae - thanks so much for sharing these via our FB wall today! Great post! Can I ask where you get all of your wooden trays? Thank you! 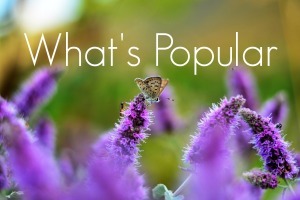 I'm so excited I can finally comment (since you changed to allow Name/URL as a comment option)! Just wanted to saw that your themes and activities are always brilliant. I love what you've done with mammals here. Thank you for sharing so many great resources with the rest of us. Pinning!